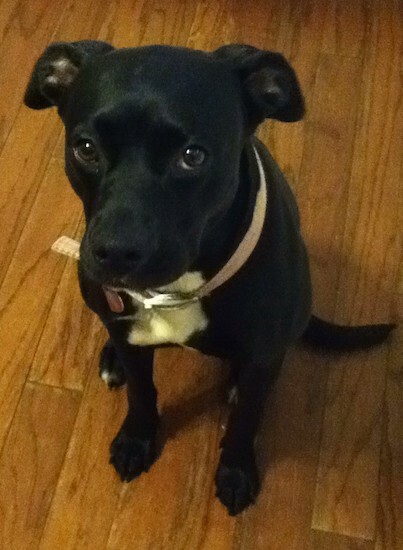 Molly the Lab / Boxer / American Pit Bull mix rescue dog at 3 years old—"Molly was a box puppy. Someone dumped her in our town with a litter of what looked like terrier pups. She was the only one that looked completely different. The vet estimated her to be about 6 weeks old. She was quick to house train and has been the best in-home dog that we have ever had. She thinks she is a small lap baby (she's about 70 lbs)! Her best friend is our five pound Chihuahua, Piper. 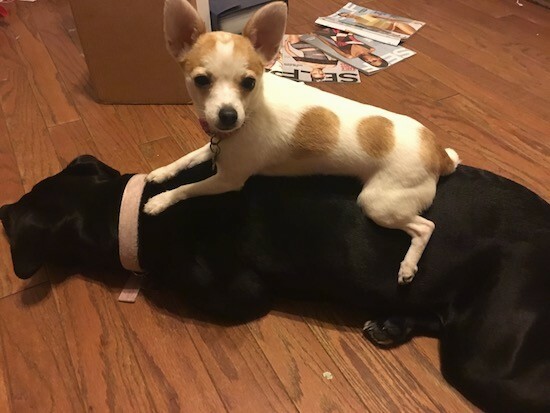 She lets Piper lay on her because Piper doesn't like cold floors. They share everything. She isn't a barker unless it's late at night and someone approaches the house or she's outside and someone comes near the yard. She is fiercely loyal. She does all kinds of tricks and listens better than our children. When our kids are playing in the back yard you can tell her to "watch the babies" and she will go lay beside wherever they are playing. She LOVES the water and her favorite snacks are cheese and fish. She still expects her daddy to pick her up like a toddler and hold her when he gets in from work. The only issue we have is that she can climb/jump any type/height fence we put up and she's an explorer so she has to be constantly watched even in a fenced in yard. 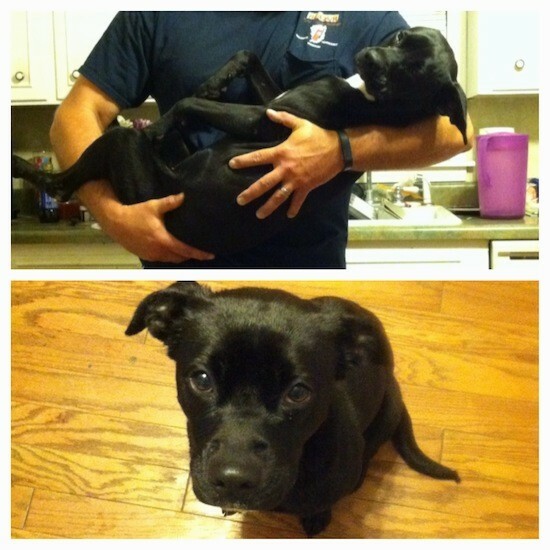 She's our little Houdini!" 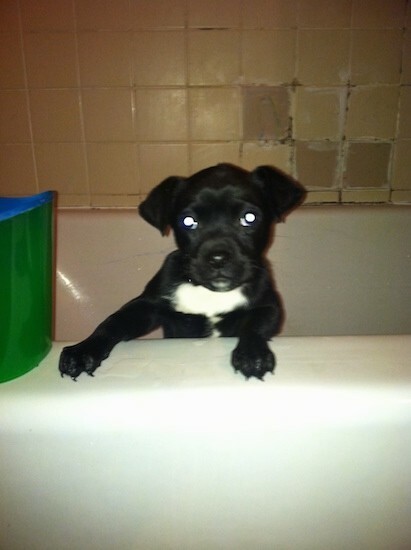 Molly the Lab / Boxer / American Pit Bull mix breed rescue dog as a puppy wanting out of the bathtub. 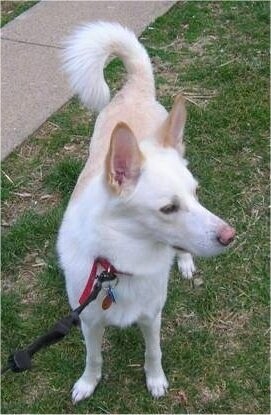 Chico the Alaskan Husky / German Shepherd mix (shown here at 1 year old) was adopted from an animal rescue league. He stands about 20” in height and weighs 38 pounds. His owner states, "We are not sure why the former owner got rid of him; he is one of the best dogs we have ever had. He listens very well, loves to be with us all the time and is always trying to please us in any way he can. When we first got him he weighed only 19 pounds and was a very scarce dog. You could see and count his ribs. We believe he had been mistreated by his former owner. 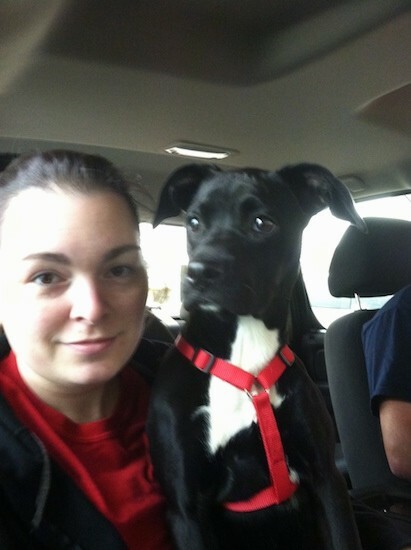 This dog has turned out to be a love bug and we would not give him up for the world."